This entry was posted in production and sales and tagged press sales on November 11, 2014 by James Day. MINI has its best global sales in October, helped by the start of US sales of the 2015 MINI Hardtop which began reaching dealers. 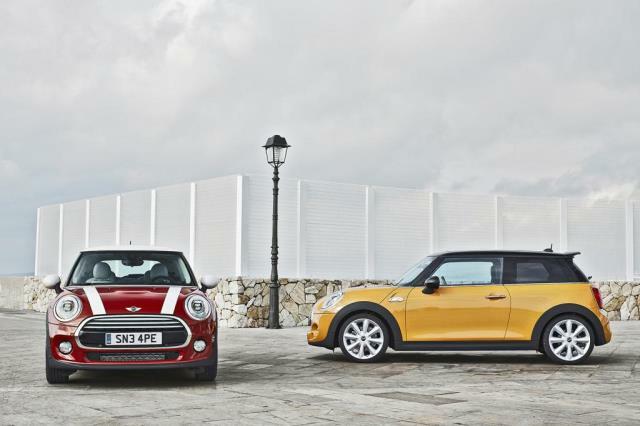 MINI brand achieved its best October sales ever. A total of 28,834 vehicles were delivered to customers worldwide, an increase of 13.4% compared to the same month last year (25,420). Sales of the all-new third-generation core MINI three-door model leapt 53.7% compared to last October (15,920 / prev. yr. 10,361). Year-to-date MINI sales still reflect the model change earlier this year; deliveries total 236,363, down 5.3% on the first ten months of last year (249,702).